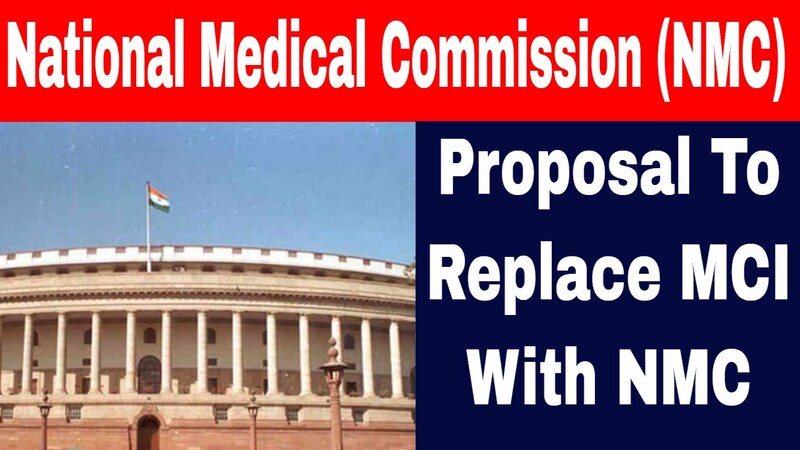 Union Cabinet has recently approved the National Medical Commission Bill which does away with the old Medical Council of India which was said to be marred by many problems and irregularities. # Reports of Corruption against the officials in recognizing medical institutions and professionals. # MCI has been dealing more in medical education prospects with negligent focus on inculcating ethics in medical treatment. # The low doctor to population ratio in India has not been improved despite MCI having a mandate to solve the problem. # The setting up of medical colleges has not been in accordance to the needs of the region and people. Some states are having negligent medical college facilities whereas others are having more. Geographical equality of medical colleges constructions needs to be maintained. # The curriculum of medical education in India has not been in accordance to the Indian needs specially for the rural areas and masses. # More focus has been on the infrastructure and less on quality, training and skill impartation of medical education. What the National Medical Commission Intends to do ? 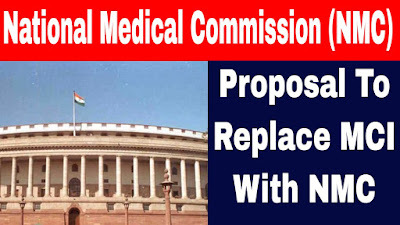 # Will remove the heavy handed regulatory control approach of Medical Council of India over medical institutions. # Will ease the processes for colleges to manage undergraduate and postgraduate courses. Earlier, the MCI approval was needed for establishing, renewing, recognising and increasing seats in a UG course. Under the new proposal, permissions need only be sought for establishment and recognition. # For opening a Postgraduate Course after Undergraduate courses recognition, a separate permission would be required. 1. Government would nominate the Chairman and members who will be chosen by a Cabinet Secretary led committee. 2. There will be a Chairman and a member secretary. 3. There will be 12 ex-officio members which will also include among themselves four President of Boards of leading institutions like All India Institute of Medical Sciences and Indian Council of Medical Research. 4. There will be 11 part time members. # National Medical Commission will also have the power to frame guidelines for fees for up to 40% seats in private colleges and deemed universities. # The punishment of non-deterrence by colleges will be less harsh when compared to what happened in the case of Medical Council of India. # The draft bill proposes for constitution of four autonomous boards entrusted with conducting undergraduate and postgraduate education, assessment and accreditation of medical institutions and registration of practitioners under the National Medical Commission.